You’re weighing the option of sending your clothes to the laundry cleaner. When you looked at the prices, you are confused with the different prices for the different methods of cleaning on different types of clothing, linens and even stuffed toys. Should you go with just laundry wash or should you dry clean? Do you go with the cheapest option so long as the items get cleaned at the end of the day? 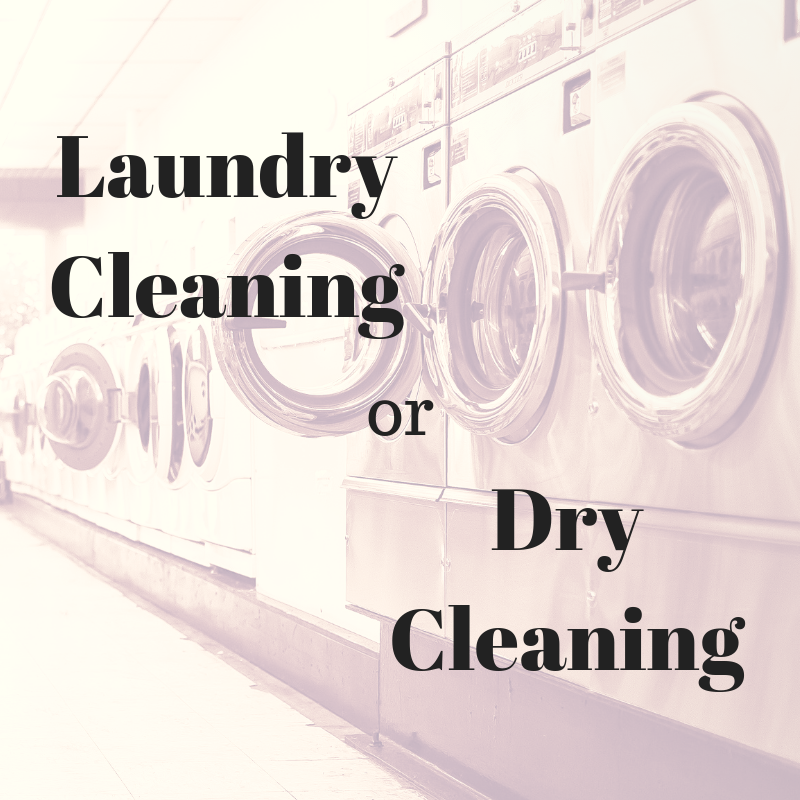 What exactly is the difference between laundry cleaning and dry cleaning? Laundry cleaning is basically washing your clothes with water and the usual washing chemical such as detergent. Thereafter, the clothes are spun and dried in the dryer. Laundry washing is similar to what we would do at home using our domestic washing machines and dryer, or hung dry. If you visit any coin-operated laundry shops, you might just collect your clothes after an hour of waiting. You will need to iron and fold them yourself. If you visit a 24/7 laundry shop and opted for ironing and folding, your clothes will come back nicely ironed and folded – an all-in-one service. And you can collect them at your convenience as well, without having to wait at all. At the laundry shop, laundry cleaning is usually the more cost-efficient option. You can choose laundry washing for almost all kind of generic clothing that requires little attention – for instance, your daily cotton wear. There are some drawbacks to laundry wash. Multiple washes will cause your fabric to lose their quality over time. Colour of bright clothing may fade. You might find frays from the clothes after many wash. Sometimes, you may need to pre-treat your items before washing to effectively remove stains such as sweat stains or coffee stains. Dry cleaning is a method of cleaning your clothing without use of water. Most of the time, other chemicals are involved. You may find more information on dry cleaning here. Generally, due to the process and method of cleaning, dry cleaning is costlier. However, it is also a more effective option when you have tough and stubborn stains such as lipstick stains, or oil and grease stains that cannot be removed by water alone. The material of your fabric such as silk, velvet or satin also plays a part. These materials require more delicate handling, and they are not able to withstand the harsh tumbling in washing machines and dryer. Hence, it is better to go with dry cleaning. This will ensure the quality and life of your clothing stays longer as well. Big items such as plush toys are also better cleaned with dry cleaning. It is important to note that not all fabrics are suitable for laundry wash and similarly, not all clothing can be dry cleaned. Sometimes dry cleaning an item might cause shrinkage or damage to the quality of the fabric. So, it is important to check the care label on your clothing before you send them to the laundry shop. When you send your clothing to the laundromat, tell them what you would like to do with your laundry items. Perhaps you might need to split your laundry items into laundry wash category and dry cleaning ones. When in doubt, you can always check with the attending staff. If there are any stains you want to be removed, do inform the staff as well. During collection, check your items and clarify any issues before you leave. Want to send your laundry in? Visit us at 354 Clementi Avenue 2 #01-177 Singapore 120354. Feel free to call or Whatsapp us for any queries.